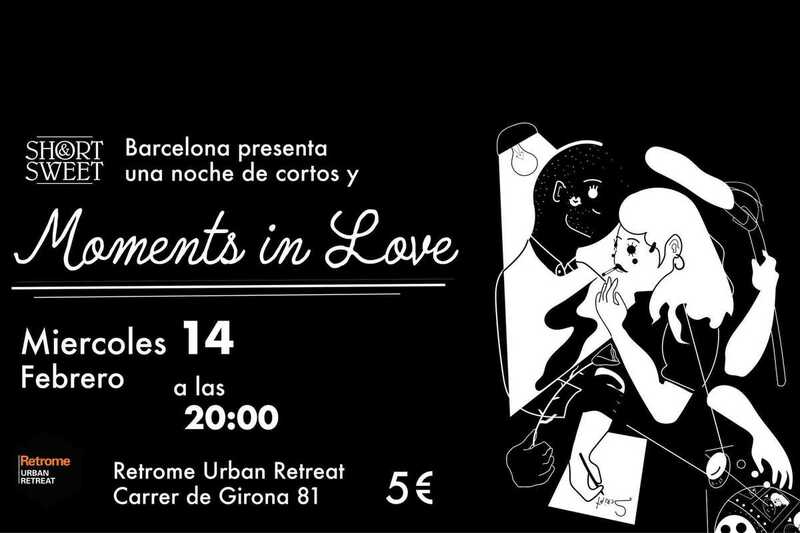 This month sees the return of the Short&Sweet film events to Barcelona. Starting off in London, the weekly showings have brought the best short films to venues around the world and this will be their second outing to this city. Their new home is the Retrome Urban Retreat hotel, worth checking out itself for fans of mid-century design. They kick off their new season on Valentine’s night with Moments in Love featuring eight short films aiming to take you on a twisted journey into the dark and light side of love. A highlight will be the screening of Irene Moray’s short Bad Lesbian, a comedy about a desperate girl recovering from a break up and looking for love in Berlin’s nightlife. Described by its maker as funny, fierce and feminist, it’s an intriguing choice. She’ll be there along with some of the other creators for a Q&A session after the films. So, if you’re looking for an alternative way to celebrate Valentine’s Day, this event could be the perfect option.